With the relentless march of technology, it is sometimes easy to assume that things have always been the way that they are. Indeed, my 13 week old daughter will never know a world without Smartphones, near universal internet provision and connected devices. I may even struggle to convince her that we ever filled cars with a thing called “Petrol”! 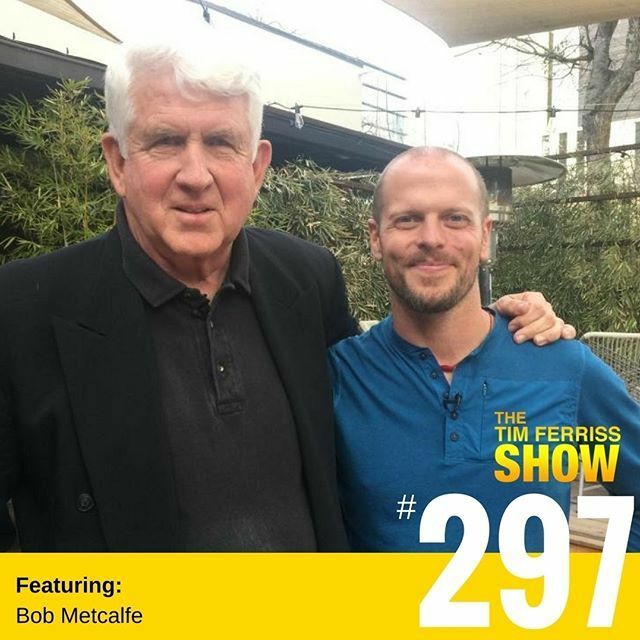 This past week, whilst driving my diesel powered car, I was fascinated by this interview by Tim Ferris with Bob Metcalfe, which you can read on this link. He is the man who invented Ethernet and the concept of connecting computers to each other in order to share information. Bob Metcalfe (@BobMetcalfe) is an MIT-Harvard-trained engineer-entrepreneur who became an Internet pioneer in 1970, invented Ethernet in 1973, and founded 3Com Corporation in 1979. About 1.2B Ethernet ports were shipped last year — 400M wired and 800M wireless (Wi-Fi). In this conversation, we talk about everything from how he toasts when drinking with friends, how he learned to recruit and fire, what he does to scale businesses, different approaches to talent evaluation, critical decisions and mistakes made, and much more. Please enjoy! I'm a bit behind on podcasts but catching up is always good and this Tim Ferriss episode is one of my favorite (and I've listened to practically all of them).